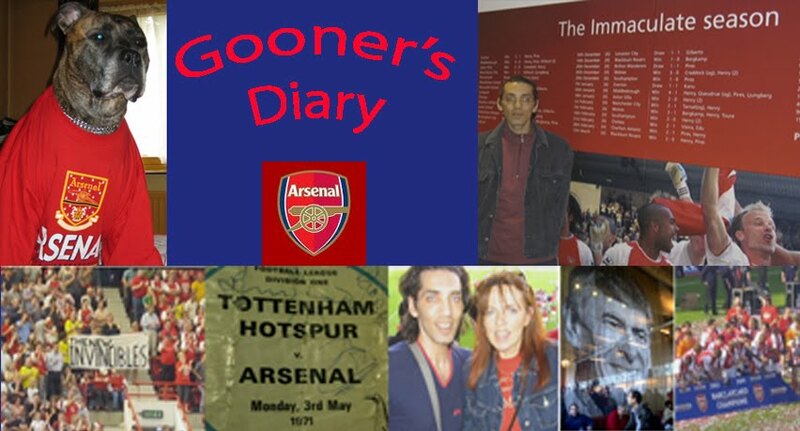 Gooner's Diary: Strap Yourselves In….. 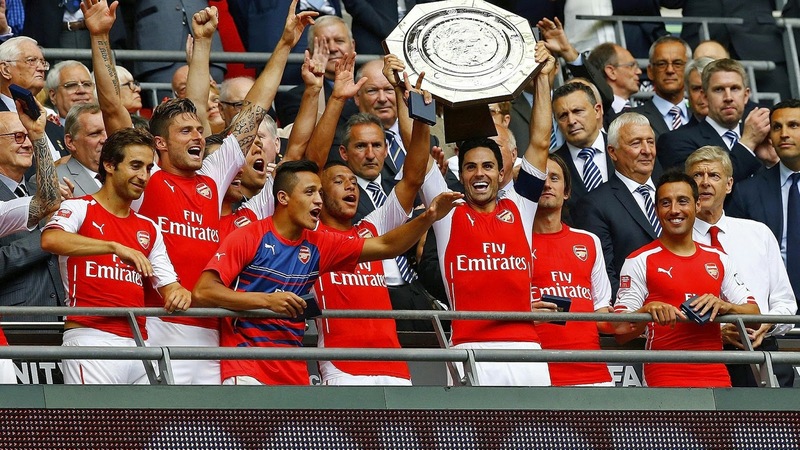 It would be easy to go overboard on the optimism, after such an encouraging outcome against the current Champions, in last Sunday’s Community Shield curtain-raiser. You wait eight years for a sniff of silverware and as with the proverbial London buses, suddenly two come along in quick succession. Consequently, I must admit that much like the majority of Gooners, I’m far more hopeful about the forthcoming campaign than I have been in many a moon. For me, perhaps the most promising indicator of an Arsenal side who’s time has finally come, was evident in some of the players' extremely positive post-match remarks, referring to the spirit, unity and the sense of common purpose in the Arsenal camp. Naturally, this is all too easy when everything is hunky-dory and it’s really only in adversity that the Gunners team spirit will be truly tested. Nevertheless, this has left me feeling encouraged that we might, at long last, be about to commence a season buoyed by the sort of resilient firewall of belief that’s been all too easily extinguished in recent times. 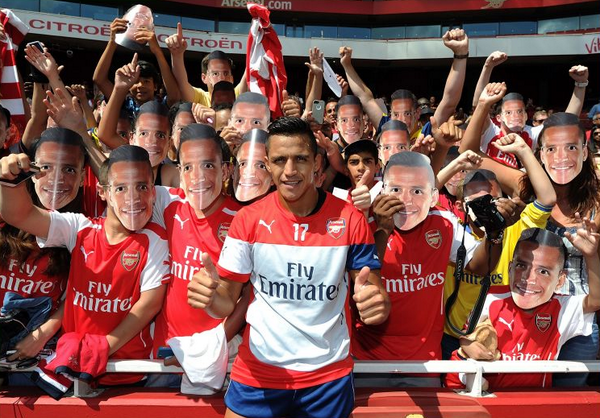 The signing of Sanchez was crucial to this regard, in promoting the expectation that we can kick-on from last term’s achievements. I’ve no doubt that with his apparent willingness to work his socks off and with an obvious footballing brain that enables the Chilean to play with his head up and ensure an end result from all our attractive football, Sanchez is destined to terrorize opposing defences. Albeit that amidst the euphoria surrounding Alexis’ arrival, the irony of adding yet another diminutive midfield maestro seems to have been lost. I appreciate that Sanchez can be used as a striking option, but in his more natural role, he provides le Prof with the pleasant problem of perming the most effective five players across the midfield, from the massed ranks of available talent. This makes a mockery of the argument that we relinquished our option to bring back Fabregas because we’re already blessed with sufficient alternates in his position. I’m uncertain he’ll be quite so motivated playing for Maureen-ho, as he might’ve been for Arsène. But there are inevitable concerns that if Cesc starts pulling the midfield strings, conducting Chelsea in the influential way in which we know him to be capable of, whatever reasons Wenger had for turning his back on his surrogate son might yet prove to be even more catastrophic than presenting Man Utd with our principal goal-scorer and thereby gifting them the Premiership crown. If the Gunners are to go into this campaign without having to fret about what the competition is up to, there’s little doubt that we could benefit from a couple more additions that might make our squad more complete. I adore what I’ve seen of Callum Chambers thus far. He has the sort of demonstrative presence and the complete absence of timidity that reminds me a callow Tony Adams. Nevertheless, while I’m all for giving youth its head, I’d hate to see his burgeoning career ruined, by costly, naïve errors in crucial games, due to our dependence on the youngster. Moreover Monreal’s frailties at full-back are cause enough for concern, never mind us being forced to use the Spaniard as cover at centre-half. Additionally, as our efforts to secure Sporting’s Carvalho, or Khedira have suggested, as much as I admire Arteta’s honest dedication to the cause and for all Flamini’s earnest endeavours, the Gunners remain short of the sort of physical midfield presence, capable of imposing himself for the entire ninety minutes of those matches where we might end up under the cosh. Meanwhile, it’s marvelous to witness the increasing maturity of Sczczny. Perhaps enlivened by the competition from Ospina, our sweeper-keeper appears increasingly keen to dominate his area. And while we’re whining about the late return to action of our three world cup winners, this could prove a psychological masterstroke, by adding even more impetus to our campaign at just the right time. Despite the fact that the sullen-faced Mezut Özil appears as if he’s doing us all a favour, every time he steps onto the pitch, I fancy he might benefit from playing somewhat in the shadow, while others steal the limelight. With the pace of Walcott, the Ox and Alexis, I’m certain Özil will enjoy his turbo-charged new toys. Behind the scenes, the arrival of Shad Forsyth, the Gunners’ new fitness guru, could prove equally significant as any star signing. Hopefully he can achieve the minor miracle of ensuring that Diaby attains the fitness necessary to finally demonstrate his imposing midfield influence. But if Forsyth can enable the likes of Ramsey and Walcott to stay the course this time around, whether there are to be gongs or not at the conclusion, one thing is guaranteed, it’s gonna be one helluva an entertaining ride.